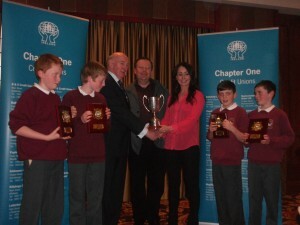 Credit Union Team at All Ireland Quiz Final. 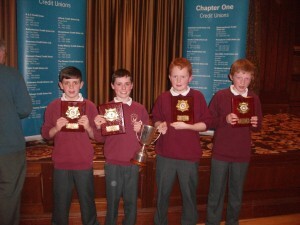 Well done to the U-13 Credit Union team who won the recent Chapter finals in Letterkenny recently. 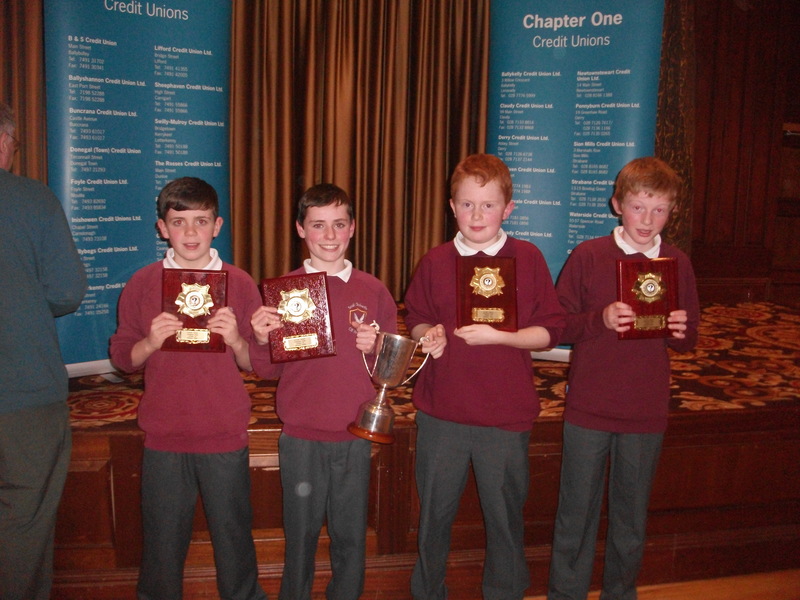 The winning team of – Eoin, Ruairí, Anthony and Shane qualified for the All Ireland Credit Union Quiz Final which was held in the RDS on Sunday April 1st. The U-13 team put in a great performance in the All Ireland finals, finishing a most creditable 10th place. This was a great performance considering that 5,500 teams entered the competition with almost 25,000 participants. 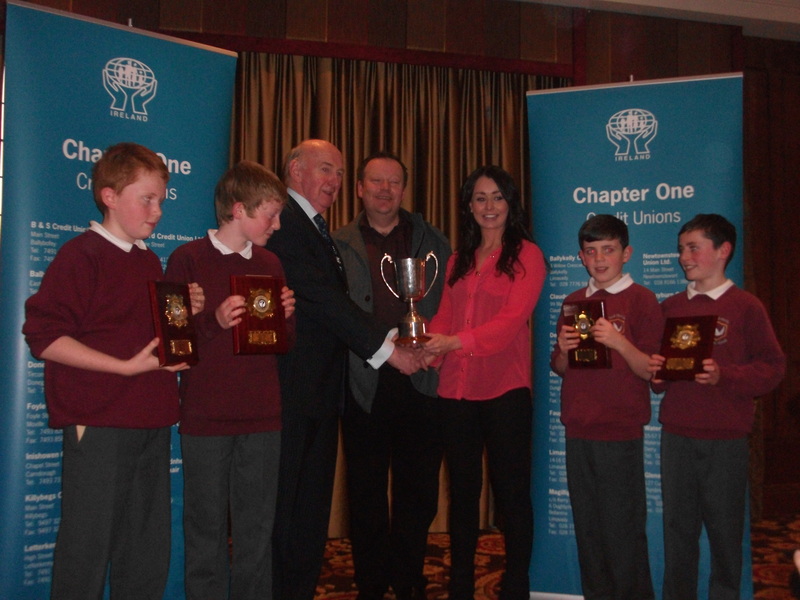 In the local Letterkenny finals, the school U-11 team finished in second point, one point behind the winners. Well done to Caolan, Emma, Conor and Steve. 75 teams took part on the night. Well done to all. Print article This entry was posted by Admin on February 10, 2012 at 1:53 pm, and is filed under General. Follow any responses to this post through RSS 2.0. Both comments and pings are currently closed.